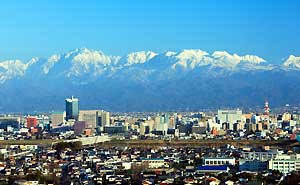 Take in the huge panorama of the Tateyama Mountain Range、enjoy delicious sushi and other gifts from the ocean. 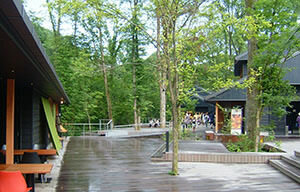 Unazuki Onsen (hot springs) boasts a wealth of hot water. 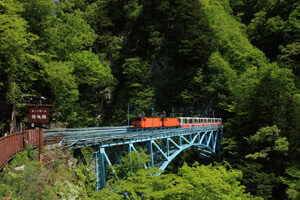 From here you can travel by narrow gauge railway along the steepest gorge in Japan, enjoying mountain sightseeing along the route. 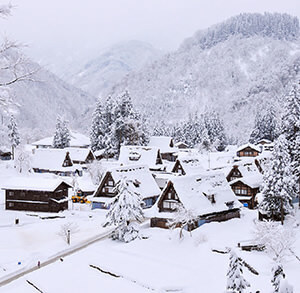 Famous for the World Heritage listed gassho-zukuri farm houses, cultural architecture and historical scenery from the heartland of Japan. 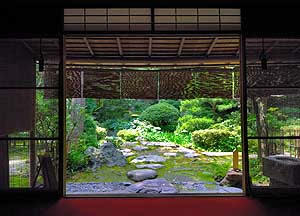 Kanazawa is home to Kenrokuen, one of Japan’s three famous gardens. 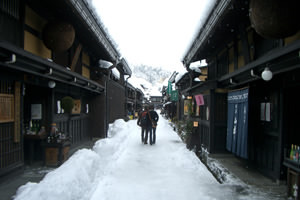 You can also walk along old city streets, enjoying traditional Japanese culture and cuisine. A leisurely stroll through Hida Takayama’s historic town reveals hidden delights at every turn. Also, Spring and Fall festivals attract many foreign visitors. Year-round town museums display some floats, fascinating mechanical puppets and other items used in the festivals. 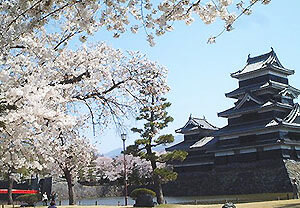 MatsumotoSurrounded by 3000 meter peaks and plateaus, the city of Matsumoto is home to Japan’s oldest castle. The 400 year old structure is a national treasure. Traditional foods such as Soba (buckwheat noodles) can be enjoyed here. East of Tateyama, the mountains of the Japan Alps receive high volumes of good quality snow, giving this location the honor of being chosen as the ski jumping venue of the Nagano Winter Olympics. 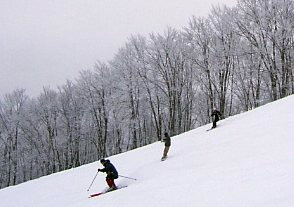 The ski resorts here are popular with foreign skiers, particularly visitors from Australia. 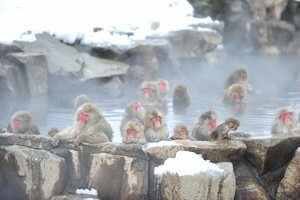 The only place in the world where wild monkeys, known as “Snow Monkeys” bathe in the hot water. These hot springs are popular with visitors from around the world. 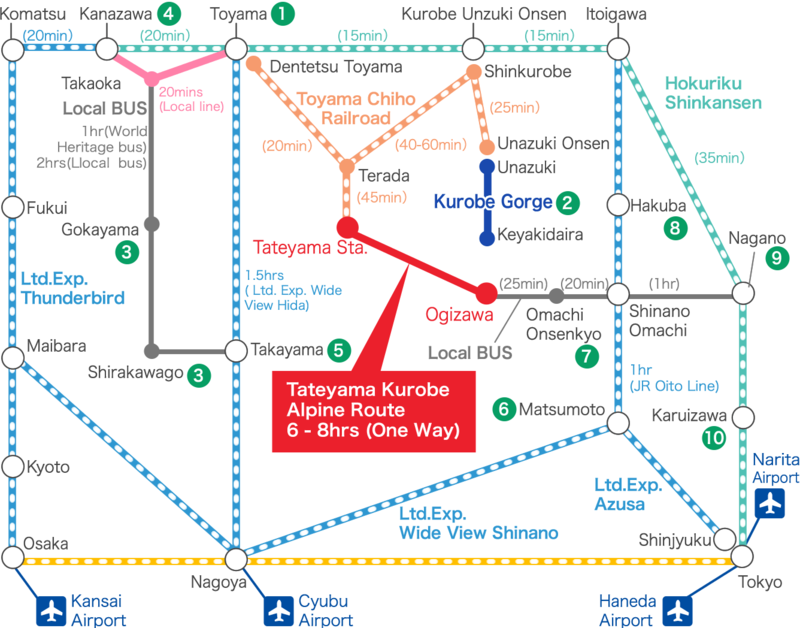 Karuizawa is a resort town with a long history, and many villas and churches. It was particularly loved by John Lennon. In recent years it has become a popular town for shopping.